Featured for the month of April at Tiffany's Art Agency gallery in Hawi. Carving is actually my first love and what started my photography. I was honored to be invited as one of 20 carvers from around the world to work collaboratively on one project for World Wood Day 2017, produced by the International Wood Culture Society. The event was held in Long Beach, CA. Although we were from different countries, our common love of wood bridged the communication gaps and enabled us to actually work as one. It was a transformative experience. Click here for more about the project and process. 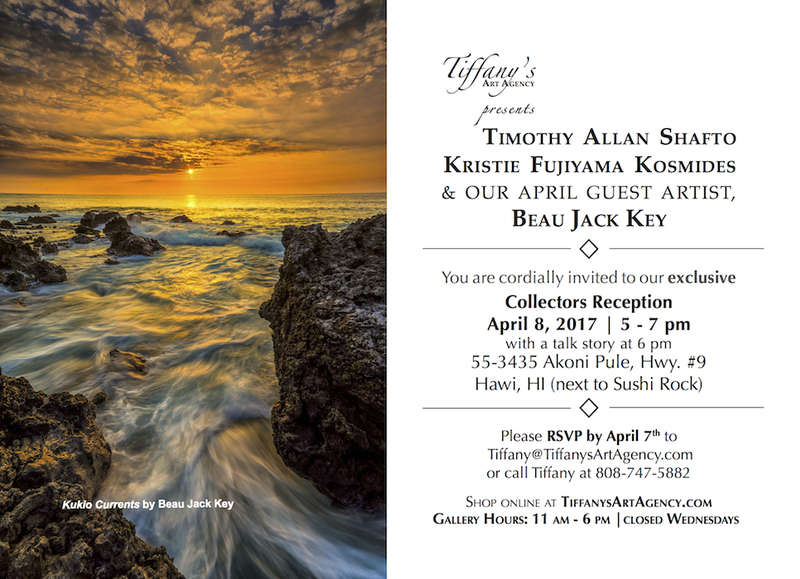 Solo show featuring my images at Henderson Design Group's beautiful showroom at the Shops at Mauna Lani. My work was featured alongside the Hawaii Ukulele Guild and Big Island Woodworkers Invitational Show at the Wailoa Center in Hilo. Honored to have been featured in the Mauka to Makai show at the Four Seasons Resort Hualalai as part of the Hawaii's Master Artists Series presented by Tiffany's Art Agency.